This Californian Gamay comes from Barsotti Ranch, a high-altitude (1000 m) vineyard in El Dorado County, with decomposed granite soils. Vines were planted in 2005, but there are also some newer plantings here too. 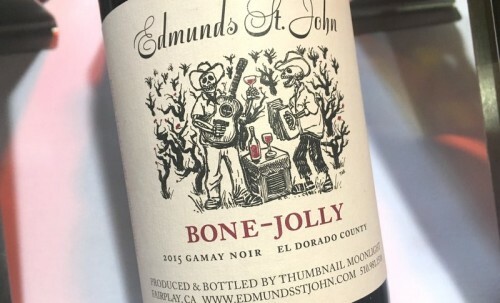 It’s made by one of California’s authentic wine heroes, Steve Edmunds, and it’s really delicious. The wine is fermented in open top fermenters, with punch downs, and then goes to stainless steel. No oak is used.